Tony, thanks for the question. 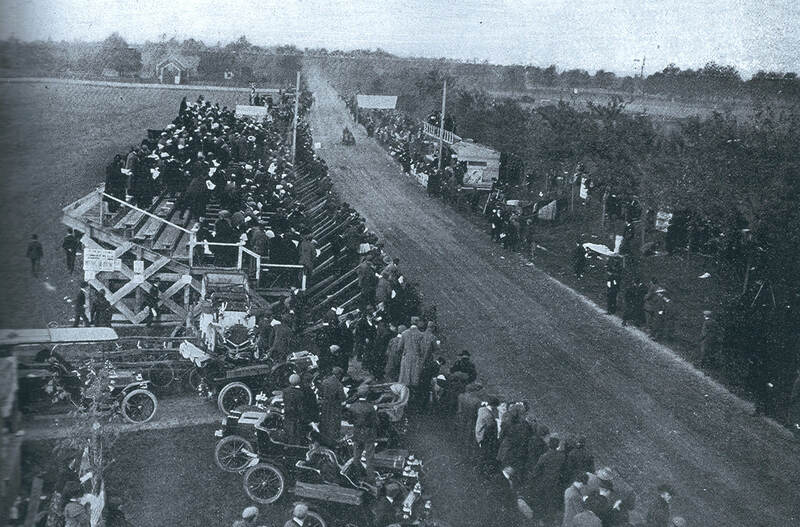 Both the 1904 and 1906 grandstands and press boxes were in similar locations on Jericho Turnpike between Hitchcock Lane and Powells Lane. These 1904 race photos will document the location of the grandstand on the south side of Jericho Turnpike (in Westbury) and the press box on the north side (in Old Westbury). 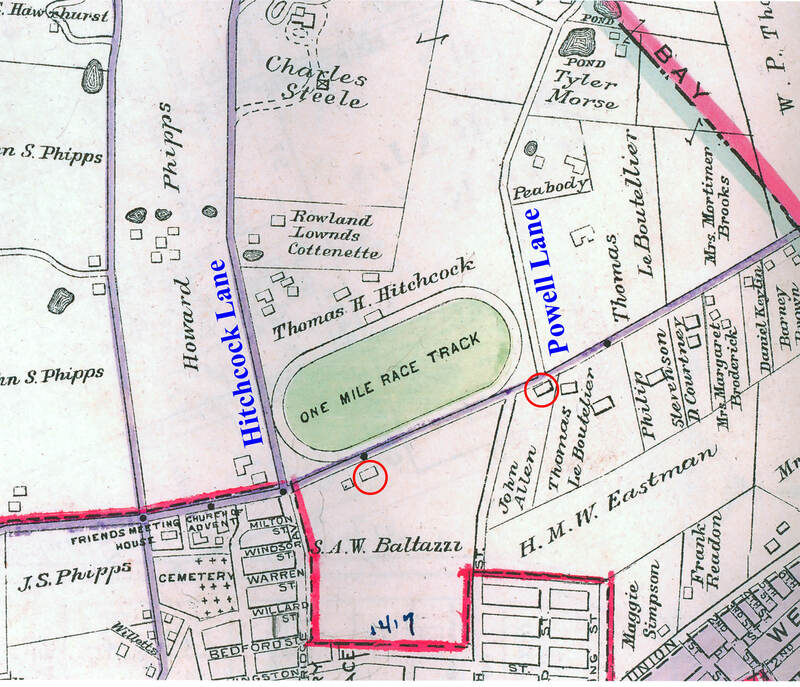 As seen in this 1906 map, the grandstand and press box were directly in front of Thomas Hitchcock's Horse Track. Two buildings are key to finding the locations; John Allen's house to the east of the grandstand and Baltazzi's large barn to the west of the grandstand. John Allen's distinctive white home was located on Jericho Turnpike directly in front of Powells Lane. 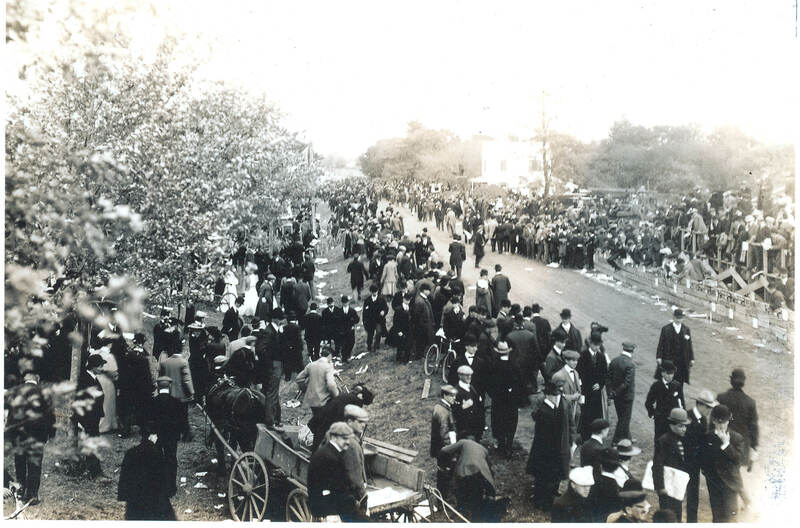 Note: a refreshment stand was set up on the Allen property for the 1904 race. On a banner across Allen's lawn, Continental Tires promoted their use on the Mercedes racers. 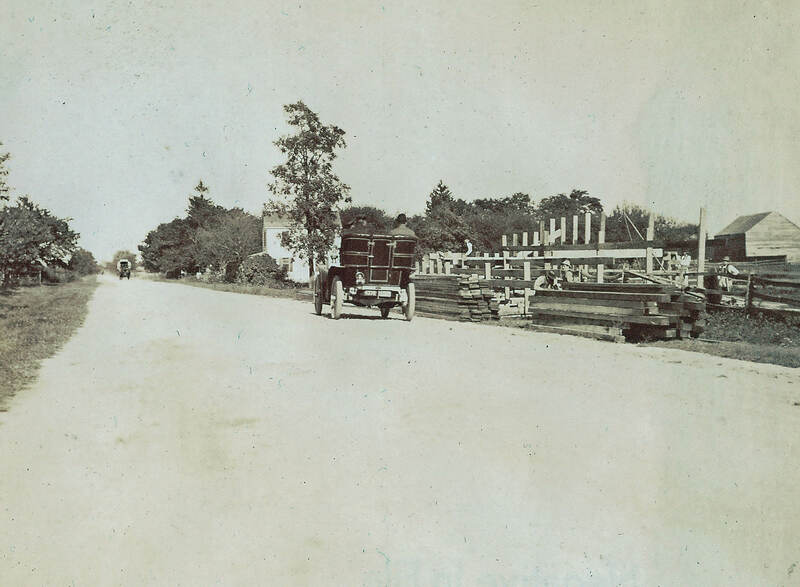 In this September 1904 photo, the grandstand was under construction. Note the John Allen's home in the background. This photo was taken from the second level of the press box on the north side of the street looking east. 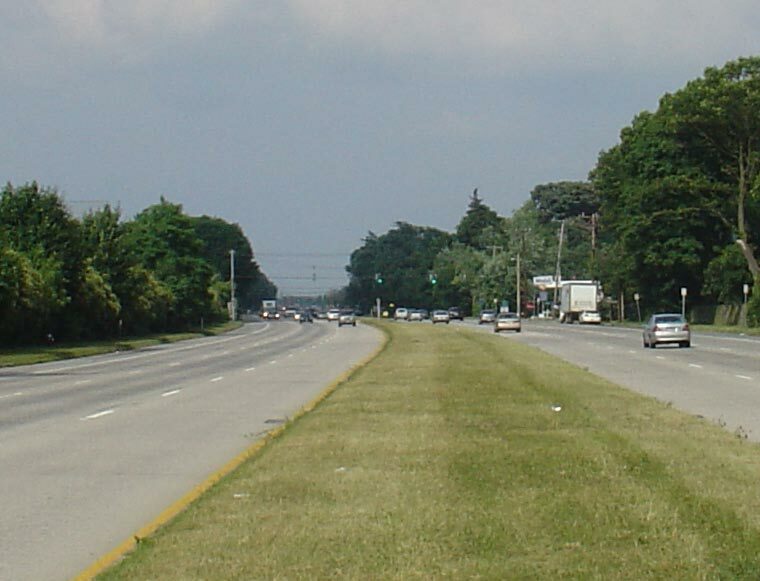 The John Allen home can be seen again across Jericho Turnpike. This is the view from the John Allen's property looking west down Jericho Turnpike. Note the distance and relationship between the grandstand and press box. A good portion of the American Biograph & Mutoscope film of the 1904 race was shot from the roof of the press box. The large barn in the background is on Baltazzi's property as shown in the above map. 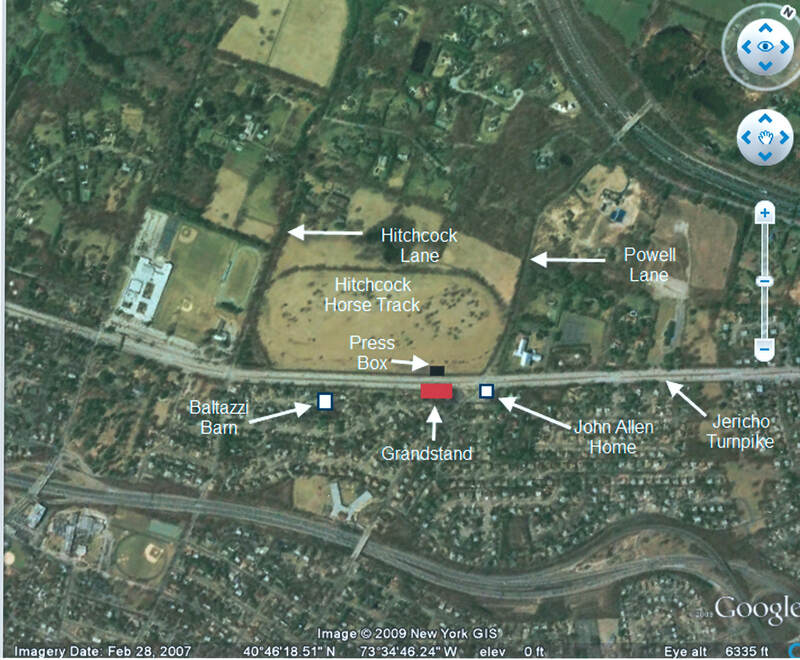 Based on the above information, here are my best Google Earth estimates of the locations of the Westbury grandstand, the press box (which also served as the officials' box), John Allen's home and Baltazzi's barn. Note: The outline for Thomas Hitchcock's one-mile horse track is still visible. 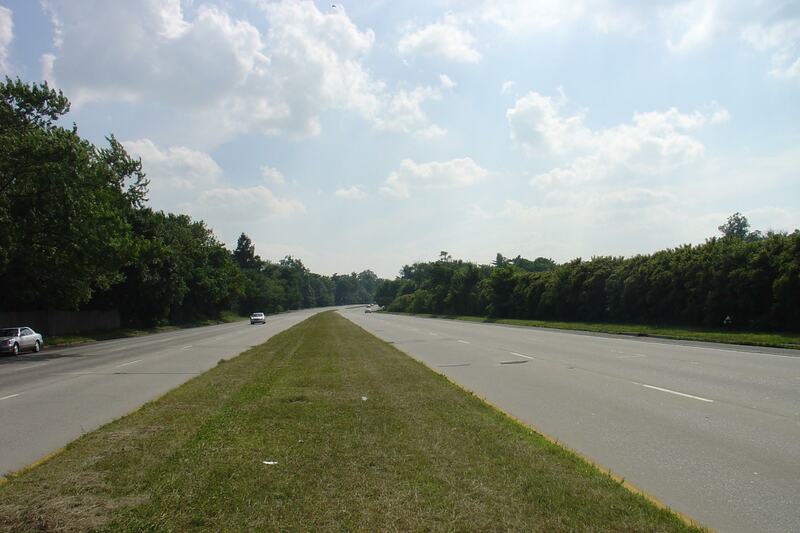 This is a recent photo of the location of the grandstand looking west down Jericho Turnpike. The Hitchcock property is on the right, basically unchanged since 1904. This is the view of the grandstand site looking east. The traffic light is at the Powells Lane intersection. 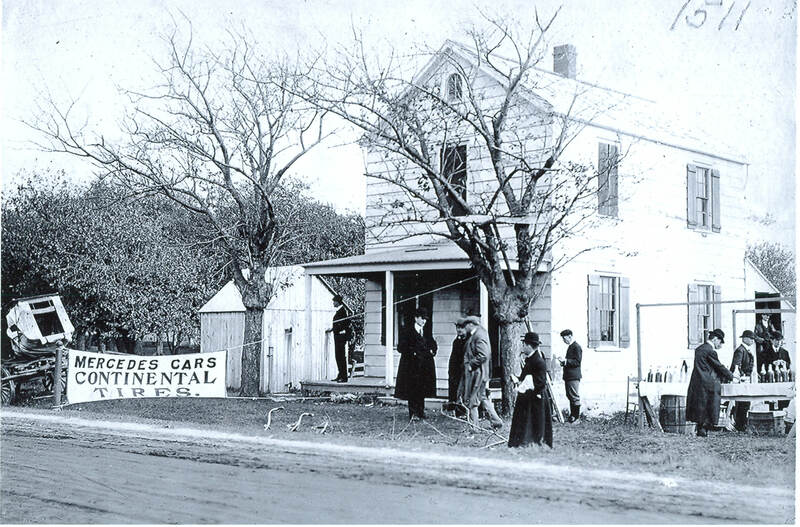 A 7-11 store is on the right, ironically very near the site of Allen's 1904 refreshment stand. Next week, I will use dramatic 1906 photos to document the larger grandstand and press box for the third Vanderbilt Cup Race. You will also find out what happened to John Allen's home in 1906 and the current legal controversy surrounding the Hitchcock property. February 24, 2010 Update: Another great view of the grandstand area looking west on Jericho Turnpike during the 1904 race.